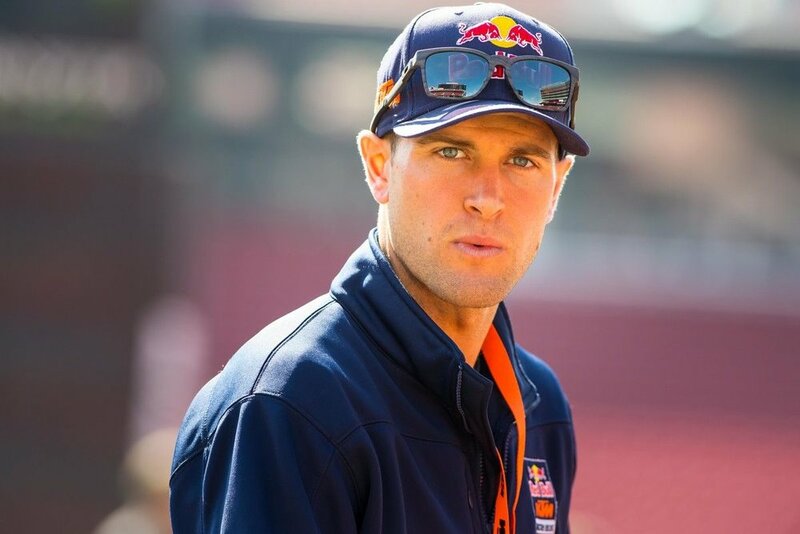 Ryan Dungey (KTM) signed off from a sport and a scene in which he has been one of the true stars and protagonists for almost a decade by clinching a hat-trick of championships in the premier 450SX division AMA Supercross FIM World Championship. The 2017 series was one of the best in recent memory and fittingly went down to a final-round showdown in the entertainment capital of the USA, Las Vegas. From the start of the series it looked as though Dungey's main threat for the title would come from Ken Roczen (Honda), who took victories in the opening two rounds at Anaheim I and San Diego, only to be ruled out for the remainder of the season with a bad arm injury sustained at Anaheim II. 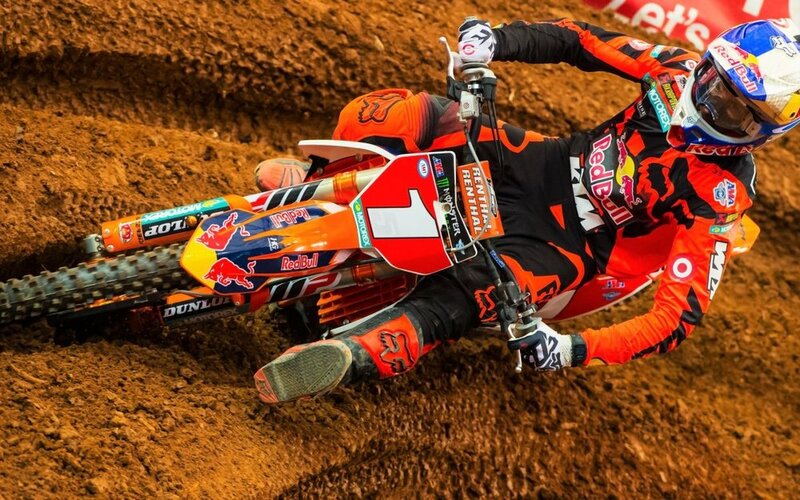 In the absence of the former champion, Dungey stepped up with his first win of the campaign, which he would add to with just two more in Atlanta and New Jersey. However, it was his trademark consistency that kept Dungey on top, a virtually podium-perfect season holding Eli Tomac (Kawasaki) at bay with a gap of nine points going into a title-deciding Main Event at a packed Sam Boyd Stadium in Nevada. Thrillingly the pair settled the outcome on the dirt, sharing track space in an intense battle that saw Jason Anderson (Husqvarna) take the win from Tomac. Crossing the line in fifth place, Dungey had done enough to triumph by just five points, taking off his goggles for the final time as only the fifth athlete in Supercross history to gain three championships in a row and just the fourth to amass four titles. Ryan Dungey (KTM) defended the number 1 plate in the AMA Supercross FIM World Championship with a career-best nine wins and a record-breaking podium streak along the way. After ending his title-winning 2015 season with sixteen straight podiums, Dungey picked up where he left off at the first round of 2016, taking second place behind surprise package Jason Anderson (Husqvarna), who maintained the Anaheim tradition of producing rookie winners. A run of three-straight wins in the next three rounds put Dungey firmly in control of the championship, with Ken Roczen (Suzuki) emerging as his closest rival as the year progressed. 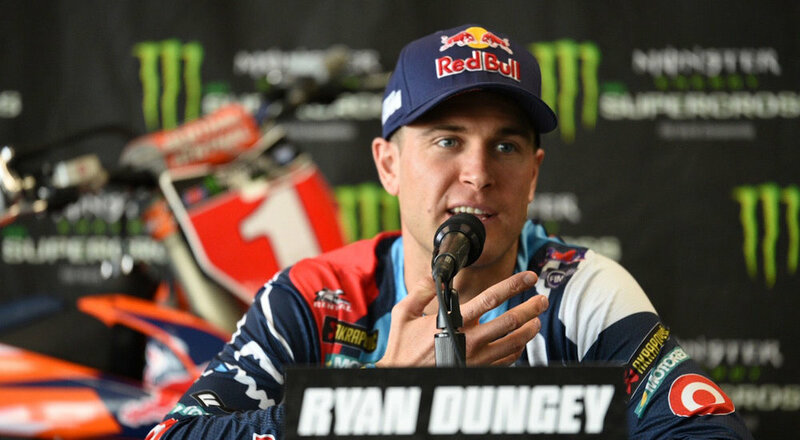 By round sixteen in East Rutherford, Dungey had taken a further five wins and extended his podium streak to thirty-one, putting himself within touching distance of the championship. Ironically it was his first non-podium finish of the season that secured the title, fourth place in a race won by Roczen enough to make Dungey just the sixth triple-champion in AMA Supercross history. Dungey ended his campaign back on the top step of the podium at the final round in Las Vegas, where Anderson completed a breakout season with second place and an impressive third in the championship behind Roczen.